What Makes The TalkingAds Marketing Development Approach Better? In the case of advertising and marketing, approaches are a collection of strategies, techniques and tactics designed to seamlessly work together and help a business establishment in achieving its short term targets and long term goals. This is why with each commercial organization, their approaches can be very different from one another. This is for developing their products and service offers, streamlining their back end workflow systems and front end processes, developing their marketing messages and other relevant materials, and for reaching their ideal prospects and target customers. This also applies to the variety of strategies and tactics that are used by various businesses for enhancing their support services, customer retention and repeat sales campaigns. This is also why the TalkingAds ltd marketing development agency employs a different set of approaches for the benefit of their business customers. That’s primarily because TalkingAds caters to a wide variety of corporations, established companies, small businesses, startups, individual marketers and independent freelancers, content publishers, app developers, resellers and service providers. Each of their clients specializes in a unique set of niches, industries and markets. Plus, each of their business customers need to cover vertically relevant subject areas and fields for their co-marketing and B2B partnership sourcing and management campaigns. 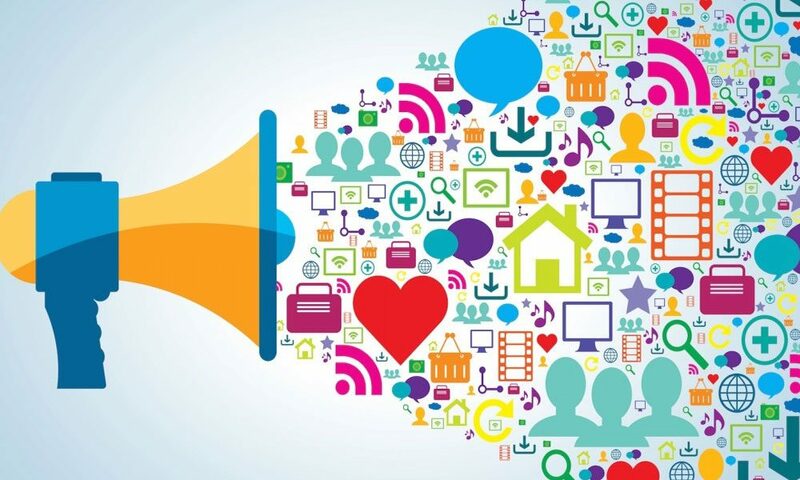 This is the main reason why the approaches employed by TalkingAds for the marketing development needs and requirements of their clients are quite unique from your regular digital marketing and online advertising agency. Even if TalkingAds only focuses on a select set of niches and industries to specialize at any given time. Despite this, they still cover a wide range of subject areas and fields. Niche Expertise & Specialized Knowledge — TalkingAds employs the best talent that they can find in the job market. They have systems in place to not just identify the right resources for the current campaigns of their clients, but they also have suitable processes for vetting, training and managing their staff of marketing consultants, creatives, advertising advisers, agents and support representatives. Plus, because they focus on a specialized set of niches and industries, they can zone in on hiring the right resources for their subscribed business customers. Back End Support — TalkingAds equips their staff with sufficient back end resources, in order to allow the teams that they delegate to their clients to concentrate on producing high quality work output for their business customers. This includes managerial, administrative, quality assurance and technical personnel with the most suitable skills and knowledge in assisting with the day-to-day operations of their marketing development teams for their clients. These back end resources are not just responsible for effectively handling and managing the day-to-day operations and activities of their advertising and marketing teams. Instead, they’re also assigned to successfully streamline the office environment, workflow systems and processes of their teams. In this regard, this makes the approach of the TalkingAds marketing development agency to be very different from their top competitors. That’s because their back end support resources aren’t just assigned to do the things described above. Rather, they also equip their marketing teams with the right tools and technologies for efficiently performing their day-to-day tasks and obligations. This greatly contributes to the increased productivity and enhanced work output quality of their advertising and marketing development teams. Plus, their back end support staff is responsible for developing, testing, managing and improving the most suitable contingencies and redundancies for their day-to-day operations. After all, TalkingAds doesn’t want their clients to suffer because of unforeseen events like power failures, Internet downtimes, equipment breakdowns, employee absenteeism and the like. This is another set of things that differentiates the approach of TalkingAds when serving their clientele network. Tactical Competitor Analytics — Not too many marketing development service providers can perform the right competitor analytics for their clients. This is very different from what TalkingAds has been proven to do for their many clients over the years. Through their services, you’ll be able to identify your top competitors in your target niches and industries, especially those that are competing against you in the platforms where your target audiences frequently hang out. Because of this, you’ll be able to pinpoint their best performing campaigns, which you can then reverse engineer to determine the areas that you can improve on and certain bottlenecks or pain points that you can successfully avoid. This allows you to develop and execute much better campaigns in the same platforms (as well as in other relevant portals). Customer Retention Programs & Support Services — The TalkingAds marketing development agency knows the importance of enticing their business customers to stay longer with them for their advertising and marketing needs. That’s why they frequently offer promotional services to their existing customers and first time clients as part of their strategic customer retention programs. You can expect the same valuable ideas from them when you sign up and have them guide you on improving your customer retention strategies and tactics. They also provide professional support services and dedicated account management to their business customers. This gives you quick and convenient ways to contact them for your questions and inquiries. Their main objective in doing this is to make sure that their overall client satisfaction rates are much better than their competitors. Besides, this can also help them generate more referrals and viral traffic from their existing business customers. Again, their tactics and strategies in doing these things can also be applied to your own customer support systems.